Haven't quite hit puberty yet or lack the testosterone to grow you're own sweet stache? Stress no more! Apptly LLC, the creator of Oldify has crafted up yet another funny app titled: Stacheify, where mustache photo editing doesn't get any better. 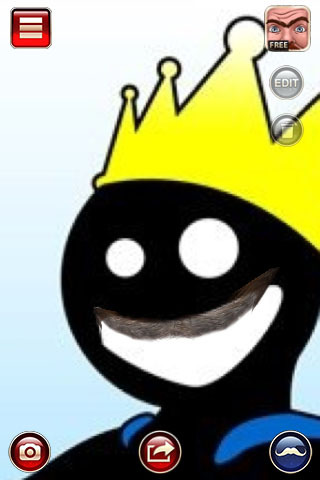 Edit, adjust and add the mustache of your choice to the image of your choice. Select an image from your album section or take a picture with your smart devices camera. View a photo-booth style set of images of you sporting your sweet stache. Save and share your latest stachey creations with your friends on social networks such as Twitter and Facebook. 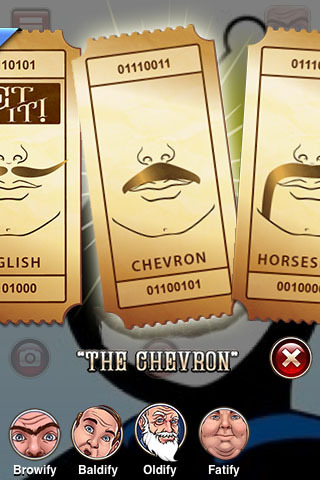 Select and unlock the stache of your choice and earn achievement points while doing so. Launch iTunes! 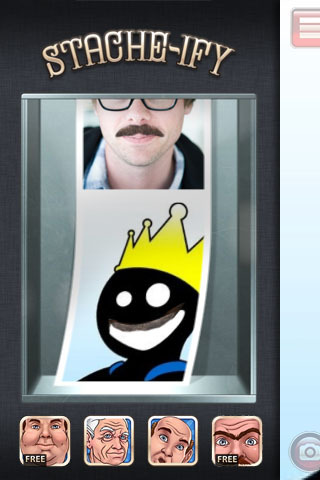 Stacheify.com Coming Soon!